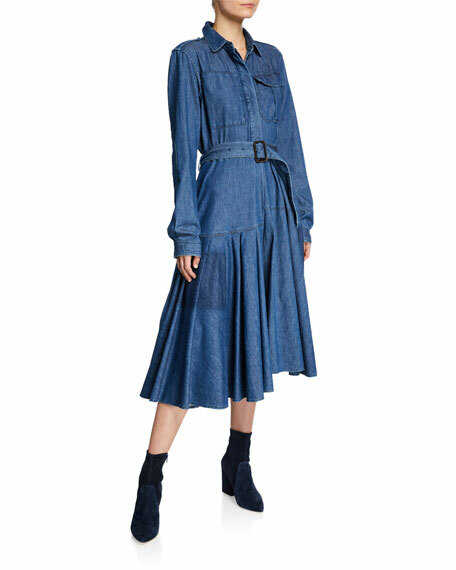 JW Anderson shirtdress in lightweight chino twill. 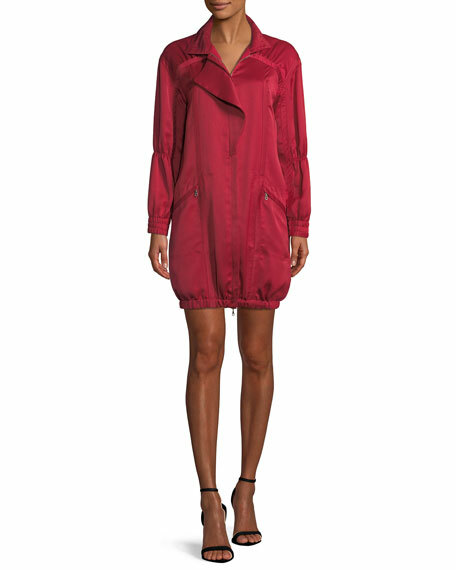 Halston Heritage shirt dress in solid satin. Spread collar; hidden two-way zip front. Long sleeves; gathered cuffs. Zip pockets at hips. Shift silhouette. Elasticized hem. Polyester. Dry clean. Imported. 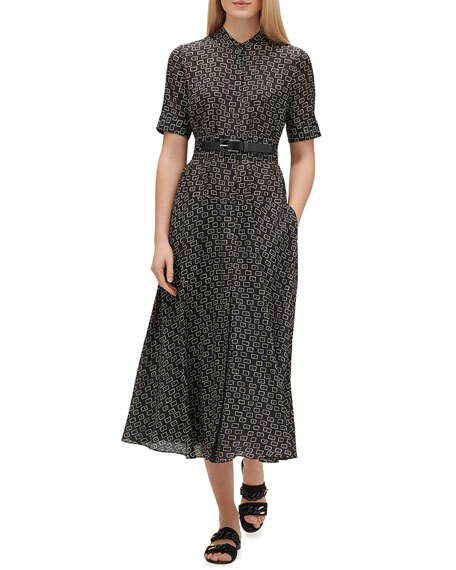 Lafayette 148 New York "Augustina" dress in geometric print. Band collar; button front. Short sleeves. Adjustable vegan leather belt. Side seam pockets. A-line silhouette. Midi length hem. Viscose/silk. Polyester/viscose, pocket lining. Polyester, lining. Dry clean. Imported. 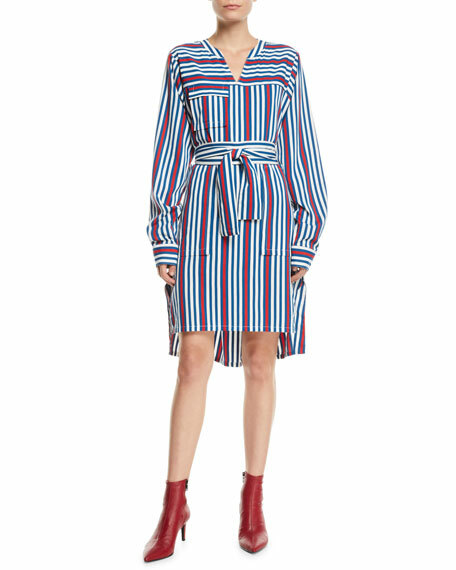 L'Agence "Cameron" silk shirtdress with graphic jewelry chain print. Spread collar; concealed button front. Long sleeves; button cuffs. Inverted back pleat. Self-tie belt. A-line silhouette. Maxi length. Imported.